3 My Connection Dropped - What Can I Do? I guess you all know this: you are connected to your server with SSH and in the middle of compiling some software (e.g. a new kernel) or doing some other task which takes lots of time, and suddenly your connection drops for some reason, and you lose your unfinished work. This can be very annoying, but fortunately, there is a small utility called screen which lets you reattach to a previous session so that you can finish your task. This short tutorial shows how to use screen for just this purpose. Looks like your normal SSH terminal, doesn't it? Now I'm going to describe the most important screen commands that you need to control screen. These commands begin with CTRL a to distinguish them from normal shell commands. Ctrl a c - Creates a new screen session so that you can use more than one screen session at once. Ctrl a n - Switches to the next screen session (if you use more than one). Ctrl a p - Switches to the previous screen session (if you use more than one). Ctrl a d - Detaches a screen session (without killing the processes in it - they continue). 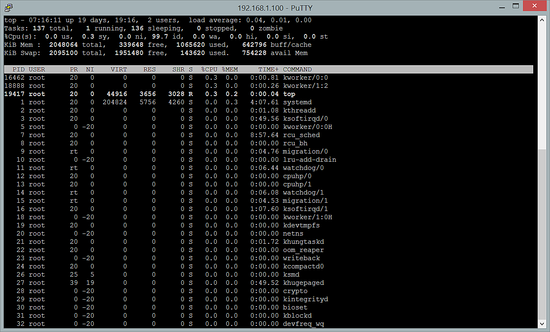 where 2477.pts-0.server1 is the name of one of the sessions from the screen -ls output. You will then fall back to another screen session (if you use more than one) or to the normal SSH terminal, if no more screen sessions are open. If you picked the right session, you should find your kernel still compiling (if it hasn't finished in the meantime) so that you can continue your work. Information on screen is surprisingly hard to find, maybe because the name is impossible to search on. This page is pretty good. An article about screen can be very useful, since most new users are unaware of such a utility. 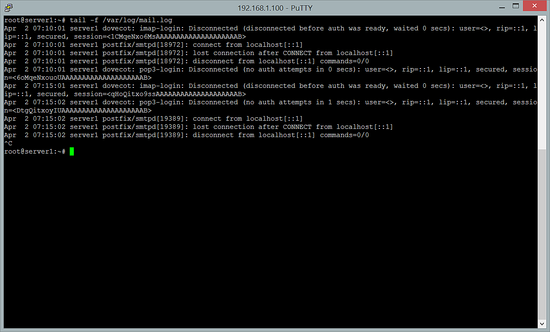 In fact, most users never even realise that such a capability could be possible on the command line! But unfortunately, the article does not do a very good job at providing a clear introduction to screen. 1) The text is thoroughly confused about terminology. What the author refers to as "sessions", are actually called "windows" in the screen manpage. 2) The article also confuses a screen window (incorrectly called a session) with the shell running inside it. "exit" has nothing to do with screen. The text says: "To close a screen session where all tasks are finished you can type ''exit''". Exit is not a screen command, its a shell command. It does not close a screen session, it can possibly close the current screen window, because it actually causes the shell to exit. 3) The description of detaching and reattaching sessions is the only part that actually talks about sessions, and not about windows. But it is not consistent in the running example. The article fails to explain how a user can end up with two sessions in the "screen -ls" example. Thanks for posting, dude, this is exactly what I've been looking for. Google got it in first hit ;-) Simply great! This article was very useful to me, thanks for taking the time to write it! sameerds, the article is great, who cares if the manual calls them "Sessions" or windows, the point is to introduce the command to people who doesn't know it. Thanks for this, it's been a great help... the man page on 'screen' is huge. This is right to the point. Yeah, but for some reason, the hot-keys were not included on the --help option, it only shows the options available. Luckily I ran on this article. Hi Screen session keeps vanishing after 10-12 days I'm running a multiplayer host and every 10-12 connection is lost and when I try screen -ls No Sockets found , any idea on how to solve this problem on my virtual hosted server. I really like this documentation. It is clear and quick to use. This is something I am glad I added to my UNIX toolbox. Another trick worth looking into (and i'm no server expert here) is the "nohup [command] &" command which allows you to disconnect and let a process run without your connection. Worth looking into. I had problems with screens disconnecting when I shut my computer down. Beautiful piece of information. Very consise and just what is needed. Thanks very much! Very short and informative tutorial!